Among China’s greatest and oldest literary achievements are the so-called “Four Great Classical Novels” of Chinese literature. In Chinese, these are known as 四大名著 or sì dà míng zhù (“four big masterpieces”). The last on this list, Dream of the Red Chamber, is also the most recent, written in the 18th century. 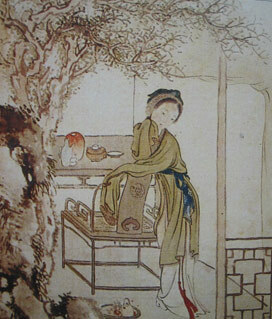 Before its time, another book called The Plum in the Golden Vase by Lanling XiaoXiao Sheng was considered the fourth great novel. However, the book’s sexually explicit content led to it being replaced by Dream of the Red Chamber and it has subsequently been banned in China for some time.